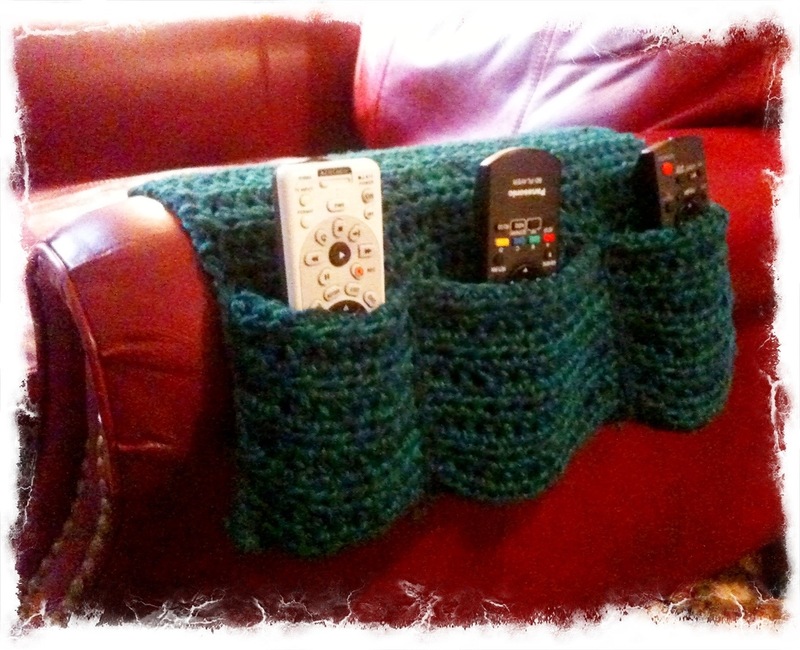 I used some left over yarn to create this arm chair caddy for remote controls. I used a half double crochet stitch and it is 27″ long with the fold over part. Where can I find the pattern for your caddy? Actually I just used this web site and photo as a guide: http://www.allfreecrochet.com/Holiday-Crochet-Patterns/Fathers-Day-Mystery-Pattern-Remote-Holder# but I modified it to just be one sided so the other side could fit under the cushion so it would be more secure. Where can I find a pattern for the remote caddy? sorry but i didn’t use a pattern. but if you go to pinterest or ravelry, they have many. How does it attach to the chair on the inside?